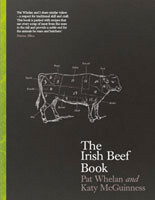 This recipe is taken from my book – An Irish Butcher Shop. 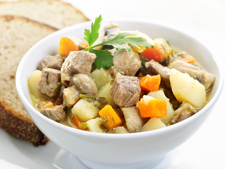 Irish stew isn’t that Irish any more, with few of the younger generation making it to the traditional recipe. Made from lamb or mutton and potatoes, it is a flavoursome and filling comfort food which I believe is best eaten in winter. It is considered a white stew as opposed to the richer brown tones of a beef stew. Use a pot with a well-fitting lid and layer half the potatoes on the bottom. Then layer the onions, 3 tablespoons of the parsley and the meat, finishing with the potatoes. Pour over the water and add the seasoning. Cover and cook on a very low heat for 21⁄2–3 hours until the meat is tender and the potatoes have broken into the liquid. Serve sprinkled with the remaining chopped parsley and seasonings.